SEOUL -- YG Entertainment, known for K-pop bands BLACKPINK and BIGBANG, disclosed the name of a new seven-member boy band. TREASURE would be YG's first boy band after WINNER, which debuted as a five-member group in 2013. 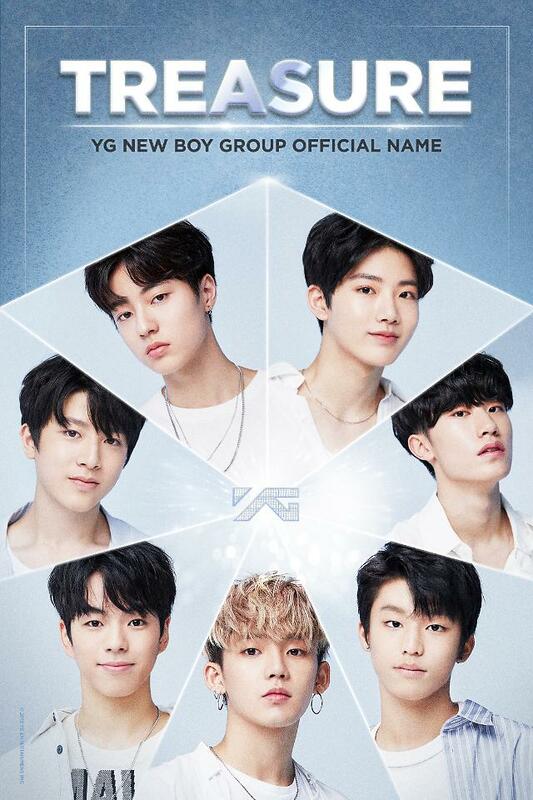 TREASURE groups Bang Ye-dam, So Jung-hwan, Kim Jun-kyu, Park Jeong-woo, Yoon Jae-hyuck, Choi Hyun-seok and Haruto, a Japanese trainee. Through its website, YG also released face photographs of the seven members who were selected among 29 trainees in a TV program titled "YG's Jewel Box", which was aired from November 16. YG head Yang Hyun-seok has said the new band would make its debut this year.